Currently rated as the number one pinball machine on the Internet Pinball Machine Database, the Twilight Zone Pinball Machine has been labelled one of the best pinball machines by critics. The complex game play of this machine really reflects the mind boggling themes of the TV show that it’s based on. The machine was manufactured by Bally Midway in 1993. Bally and Midway were originally competitors but in the 1900’s they merged to make Bally Midway Manufacturing Co, later acquiring the American coin-operated assets of Sega Enterprises. Together they planned to produce some of the best arcade and pinball machines in history. 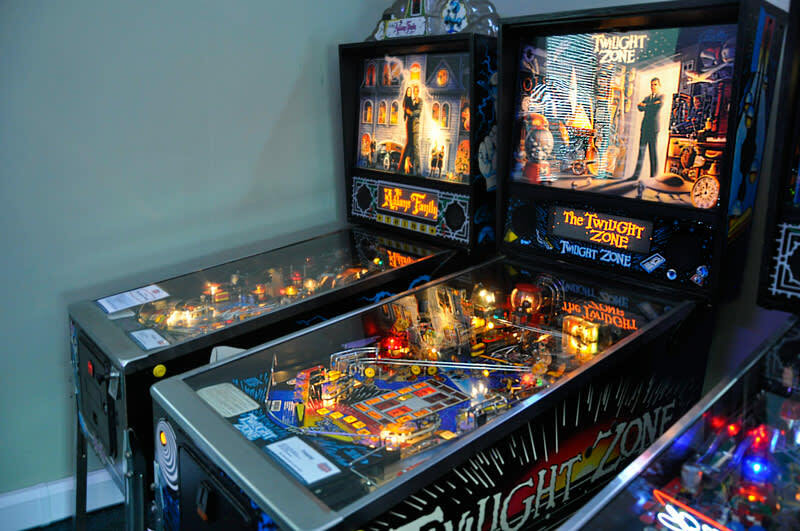 Twilight Zone is just one of the great pinball machines that they produced together, some other examples of their work include Judge Dredd, Creature from the Black Lagoon and The Addams Family which is still one the most sought after pinball machines of all time. Pat Lawlor has been involved in the design of some of their best pinball machines, including Twilight Zone and The Addams Family. His designs are renowned for their depth and attention to detail when it comes to both the license and the game play, which is what makes his name really prestigious amongst manufacturers and pinball fans. They put a lot of time and thought into the design of the Twilight Zone pinball machine and made sure that it was very detailed, from the Gumball Machine on the playing field to the Powerfield. Some other key features of this machine is the working analog clock, the 3 and 6 ball multi-ball modes and the countless references to the hit TV show that are scattered across the table. One of the most talked about features of the Twilight Zone pinball machine is the Battle The Power function. By lighting Battle The Power, you gain entrance to the Powerfield which is a raised playfield controlled by magnets instead of flippers. You then have 10 seconds to try and defeat The Power by sending the ball through the upper exit from the Powerfield. This classic really fits in with many of the other wacky machines that we have in our new arcade and pinball themed showroom. It’s in great condition due to it only having one previous owner, has been through our 26 point check to ensure that it plays perfectly with no errors and is set to freeplay so that you can enjoy a few games and get a real feel for it. If you come to our showroom, we can help you go through the different gameplay options to really discover how good this pinball is. The Twilight Zone pinball machine is currently in stock and is available to view/purchase on our website and in our showroom. It comes with free delivery and installation (worth £200), which also includes a 30 day warranty on the product which covers parts and labour. You can call our sales team for free on 0800 622 6464 or e-mail them on sales@homeleisuredirect.com to speak to a member of our expert team who will be able to answer any questions or queries that you may have.